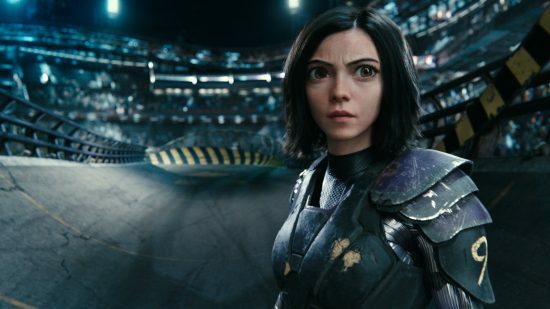 The ads have been attributing Alita: Battle Angel to writer and producer James Cameron with the logline “From the creator of Avatar and Titanic”, which not only does the film’s actual director – ROBERT RODRIGUEZ – an enormous disservice, but also completely misjudges what of Cameron’s oeuvre is going to put bums in seats, SO… From the makers of Aliens, Terminator 2: Judgement Day, From Dusk Til Dawn and Sin City, comes Alita: Battle Angel. In the far-flung future of 2563, and 300 years after a huge destructive war referred to as “The Fall”, only Iron City remains. The rich and powerful hover above in a posh floating paradise city, while below what is left of humanity fight to survive, and cybernetic enhancement is commonplace. Dr. Ido (Christoph Waltz – Inglorious Basterds) specialises in melding human and machine and makes what living he can maintaining the populace and searching for parts in a scrap pile. Amongst the detritus, he finds the head of Alita (Rosa Salazar – Bird Box), for whom he crafts a robot body and then attempts to teach her the ways of the new world while protecting her from those who want her tech. But Alita can look after herself due to her lethal and mysterious past, and she sets out to find her place in a deadly dystopia dominated by a fast and barbaric futuristic sport known as Motorball, and populated by murderous bounty hunters known as Hunter Warriors. The effects work that brings Stone City, the Motorball sequences and the fights with the Hunter Warriors to life is amazing. WETA has outdone itself in creating a science-fiction city that feels original and full of life and history, a vicious breakneck sport that feels dangerous and exciting, and astonishingly cool fight sequences against formidable and frightening foes. Rodriguez takes full advantage of having the prodigious New Zealand effects house’s talent and the support of Cameron at his disposal to muster up a full-throttle adventure that as well as having jaw-dropping action scenes is full of heart and soul. The key to this is Alita herself. WETA do an unbelievable job in creating her visually and this is doubled down on by Salazar’s earnest and heart-warming performance that could easily have been simplistic or cloying but is tough, kind and full of hope and love. 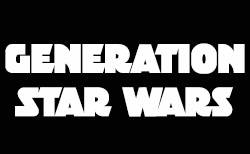 This emotional core constantly grounds the far-out antics as well as keeping the audience totally invested in a feature-length high-five between two visionaries that you should see on the biggest screen possible. Fusing Robert Rodriguez’s style and guile with James Cameron’s budget, tech and genre mastery has created a cybernetic sci-fi stunner. Alita: Battle Angel is released in the UK on the 4th of February.